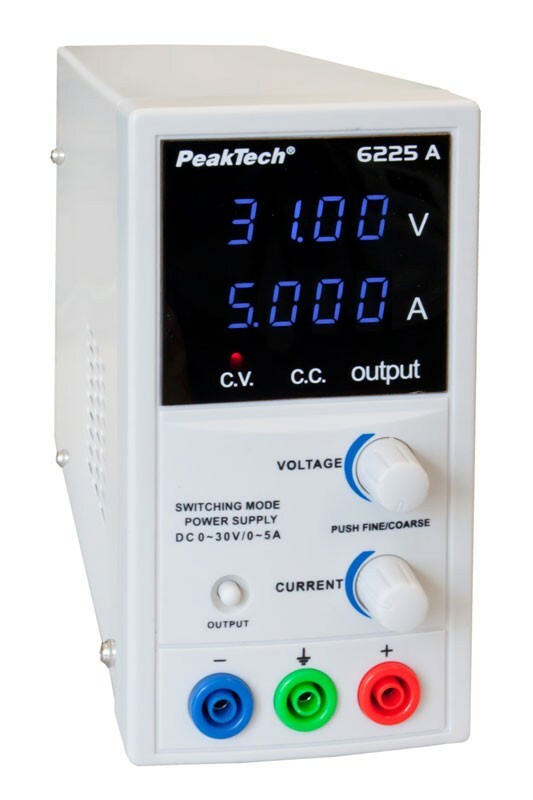 The sudden death of my faithful lab power supply offered a good opportunity to try out the affordable PeakTech PSU 6225 A which has similar current specifications as my deceased PSU (5 A vs. 6 A). The small form factor of this PSU was also a point in its favour. Three banana sockets, green is for ground. Because my faithful lab power supply suddenly broke down I quickly needed a replacement. 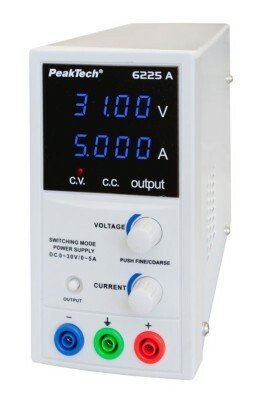 This offered a good opportunity to try out the rather affordable PeakTech 6225 A which has similar current specifications as my deceased PSU (5 A instead of 6 A). The small form factor of this PSU was also a point in its favour as, due to space limitations in my lab, I prefer not-too-wide equipment. Depth, on the other hand, is plentiful. 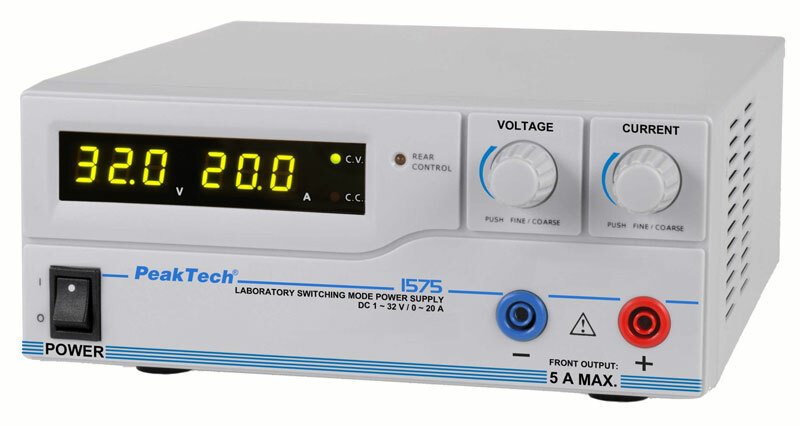 This PeakTech model is only 80 mm wide and 260 mm deep, a perfect fit for my lab. Compared to my old 5-kg or so PSU it is also much lighter as the PeakTech 6225 A only weighs 1.5 kg. Probably because assembly is easier and cheaper this way, the PeakTech PSU 6225 A has a power button at the back. This is not too practical if you ask me, but I can live with it because there is an output disconnect button on the front. Two clear blue 4-digit LED displays show the values of the output voltage and the current limit. 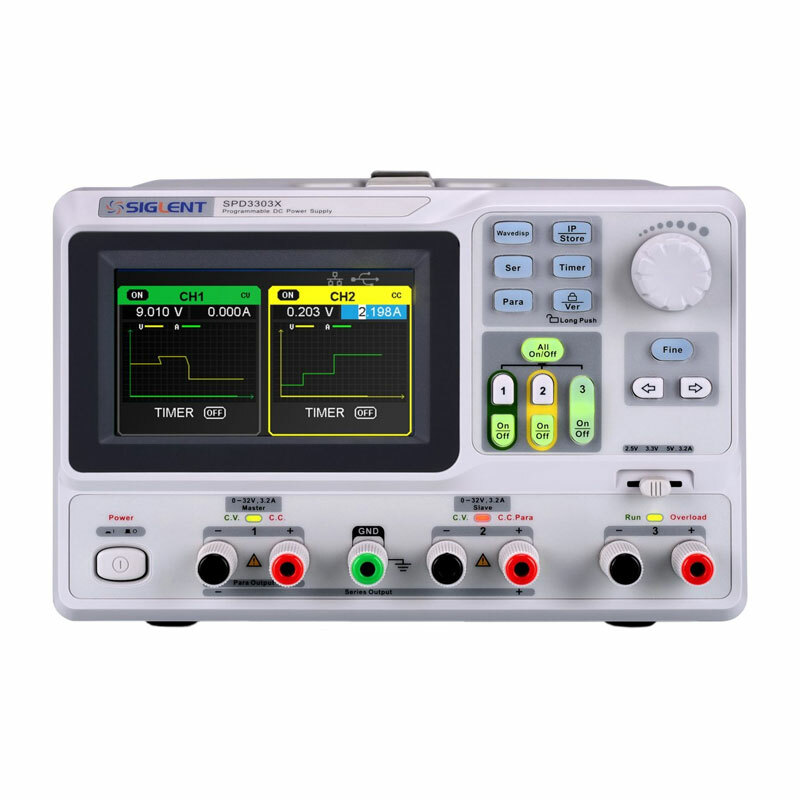 These values are controlled with two rotary encoders below the displays. Output (controlled by a pushbutton cleverly labelled ‘output’). Constant voltage mode is how the PSU is probably used in most cases, at least for me: an adjustable power supply to power all sorts of circuits under test with the current limit set to a safe value. 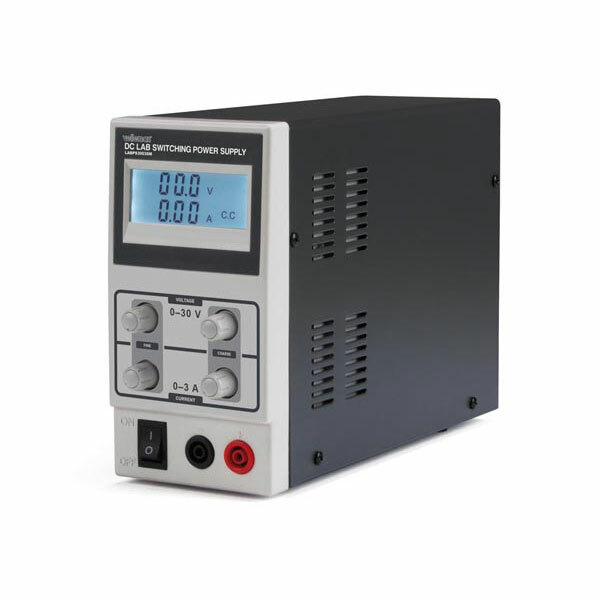 As soon as the load demands more current than available, the PSU will enter C.C. 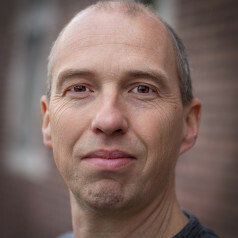 mode. When this is unwanted, due to a short circuit for instance, this mode may avoid damaging components. When charging batteries this mode will limit the charge current to a safe value.